There’s something about the colour orange that evokes comfort and excitement at the same time. 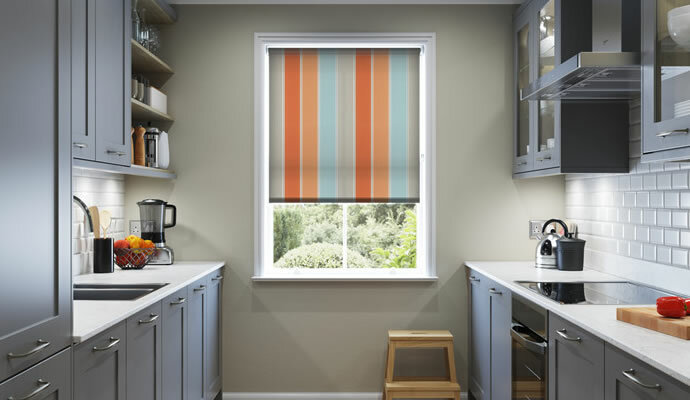 Whether you go for our warm brick red or dark ochre shades, or the fresher sunnier feel of apricot or peach, orange blinds are certain to add a real injection of life into your home. This intensity of colour means that whatever shade of orange window blinds you choose will really set off rooms where the rest of the décor sits in more neutral shades. What’s more, our choice of plains, patterns, and even textures will help you dictate just how big a splash you decide to make. 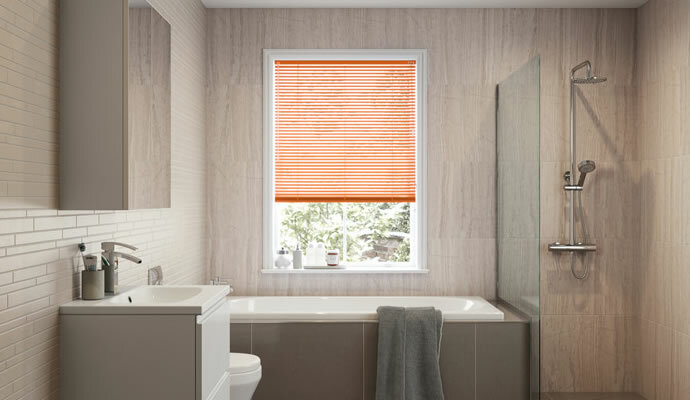 Add some real warmth to kitchens or bathrooms with a practical orange roller blind, which can be used to match or contrast with the rest of the colour scheme. 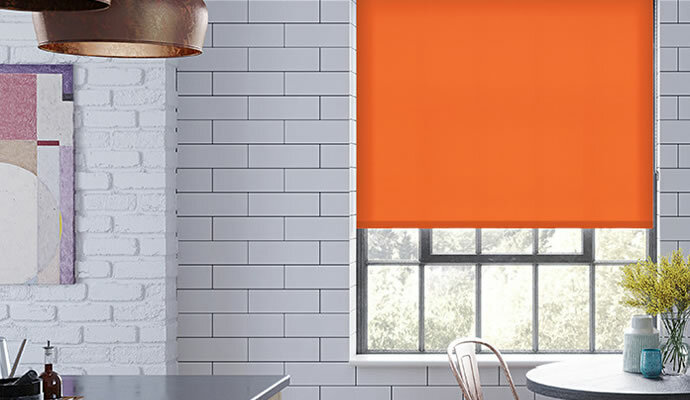 A richer, deeper shade of orange would make the style of any Roman blind even more opulent and luxurious, adding a classier look and feel to any room. 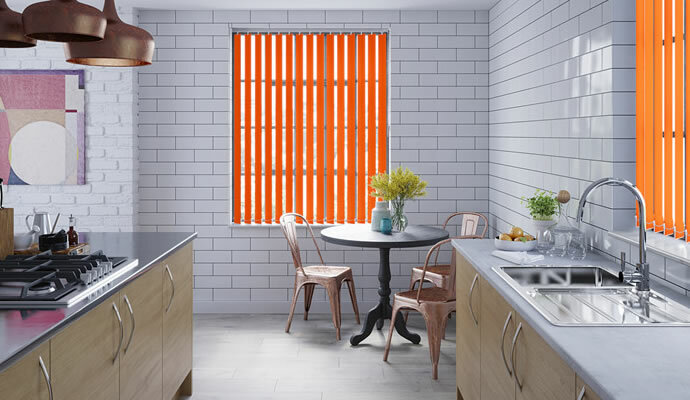 Any sunny view from the window can be made to look even brighter and more welcoming with the addition of a vibrant, orange Venetian blind. 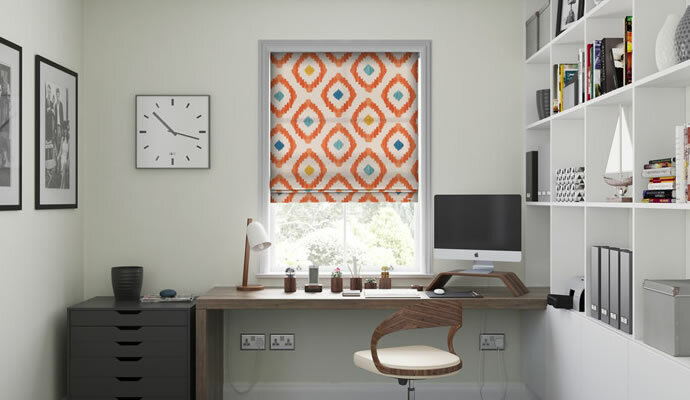 Add personality to a window of any size with a zingy, zesty orange vertical blind that looks especially effective when it’s fully closed. The brightest way to keep a room dark. These include a dark and opaque blackout material on one side and vibrant orange on the other. 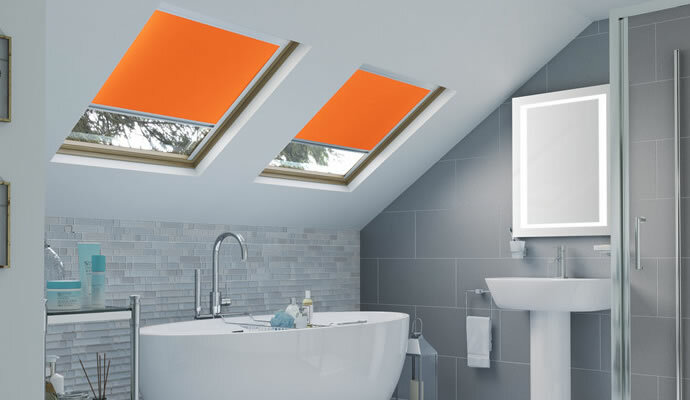 Make a special visual feature of a skylight or a roof window with the simple addition of a vibrant and made-to-measure orange blind.